The year 2019 may well push the global economy into another global crisis, with the falling oil prices among the key factors, analysts believe. Will it affect Russia and will the domestic economy be able to grow in the next few years? 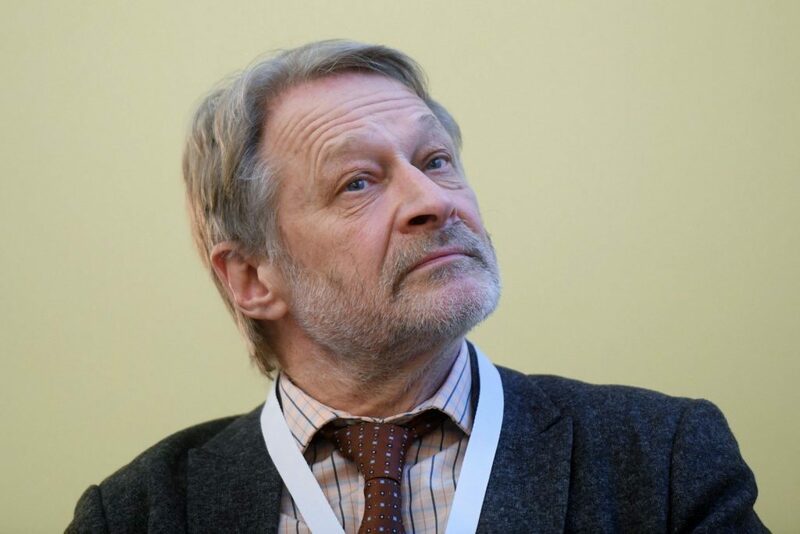 Independent political analyst and political geographer Dmitry Oreshkin, founder of the Mercator analytical group, shared his forecast of 2019 economic trends and assessment of Russia’s position at the beginning of the new year in an interview with Invest Foresight during the Gaidar Forum organized by RANEPA. – What economic background did Russia have entering 2019? – Judging by the fact that Prime Minister Dmitry Medvedev decided to “free” the country from GDP measurement, things look black. This is not even surprising, since Russia’s GDP has shrunk from $2.1 tln in 2014 to $1.5 tln: the ruble has weakened, so it looks even worse in dollars. Prices are rising, and inflation has reached 4.3%, higher than we were promised. – What are the prospects for 2019? – The prospects are bad, especially for the first half of the year. Maybe it will be better by the end of the year, but only if the oil price goes up again. Experts would say, it has all been predicted long ago. And it was easy to predict because this downward trend has been there for quite some time. – What can we expect economy-wise? – Further price hikes, further reduction of business activity, because tax bites are growing, and further enhancement of this spirit-lifting rhetoric. If things are bad in objective reality, one has to focus on sensation. Lenin said matter is the objective reality given to us in sensation. When we cannot cope with objective reality, we can still cope with sensation. – Can we expect a strengthening of the ruble? – That is unlikely: I do not see any reason for it. Still, we have to give credit to the Central Bank: in the existing corridor of opportunities determined by the state policy, they are doing what they can. Required to reduce dependence on the dollar, they buy yuan. True, the yuan fell due to the crisis between Beijing and Washington. The Central Bank lost $6-7 bln because it shifted from dollars to yuan, and the yuan was worse than dollars. – How do you assess the ‘de-dollarization’ prospects? Does the Central Bank need to keep assets in different baskets? – If we want economic efficiency, it is better to keep our money in something reliable, such as the euros or dollars. They are better than the yuan anyway. But then we are told that dollars are an enemy currency and we have to sell them. What do we do? Gold can be an option. But gold is not growing either. Another option is the euro. We could also buy pounds, but pounds are another enemy currency. When political interest prevails, the economy is sacrificed. – What is the motivation behind raising taxes? – The state does not have enough money to implement presidential decisions or to support all the regions. The ideology is as follows: the bigger we are, the richer. But Crimea requires RUR 125-150 bln ($1.9-$2.3 bln) per year. We need to get the money. So it is taken from other regions. The Crimean Bridge means a bridge across the Lena River in Yakutia has not been built. Unlike in the 19th century, land is something you have to pay for. You have to invest in it – in people, education, healthcare, and transport infrastructure. As a result, people find themselves in constant cognitive dissonance. – How will the regions feel in terms of financing? – Not well. The logic of the vertical power is that the regions must be obedient and governed by the federal center. In fact, a unitary governance system is being restored. In order to make the regions obedient, they have to be made poor. If they are allowed to be rich, who knows what they will do. It means that political priorities again dominate over the priorities of economic development: that is, in the government’s opinion, the regions should rather be poor and obedient than rich and independent. – Should we expect economic growth? – I do not think there would be a collapse, but there would be no growth either. Most likely, we will see stagnation with a GDP of $1-1.5 tln per year. But they are not going to tell us that because they do not want us to feel worried.